Every Non Profit Charity Organization need an effective way to seek help. Display and describing what they actually doing is equally important. A great Donation Non Profit Charity Bootstrap Template can fulfill all the needs of a charity organization. Besides this, seeking for donation and receiving them in also an important part of their task. So, it necessary to show beautiful things what they doing around the world with an attractive way. For this reason, we tried to gather necessary facts into this Charitus Donation Non Profit Charity Bootstrap Template. As a Non Profit Charity Bootstrap Template, Charitus comes with a lot of features to help charity organization in making an attractive website. A great template can help to send the message of their volunteers’ works with love and passion. No matter where they are working. Of course, an effective way to communicate though their website is necessary too. With this Charitus donation Non Profit Charity Bootstrap Template, you can make a website for NGO, Fund-raising, and Social Welfare too. The Charitus is a special care item designed for Donation Non Profit and Charity Organizations! We gathered all necessary features here what a charity organization needs on their website. You can call for donation and collect it easily. To show and describe your great works, you have more space in this donation Non Profit Charity Bootstrap Template. Charitus is a Responsive Non Profit Charity Website Template. As graphics and outlook, the responsiveness of your website is an important part. On the other hand, the growth rate of users of mobile devices is increasing day by day worldwide. Now guess, your online identity hasn’t a fitting display, what will happen? Of course, your visitors won’t bother to visit the site again. For this reason, there is no way to pass up the importance of Responsive Layout. When it comes to Non Profit Charity Bootstrap Template, it is essential to have a responsive layout. However, it is compatible with major web browsers and mobile. Charitus has a great Home Page, which can help to brief your identity and what you doing for people. If anyone likes to donate you or send you a message, people can find it easily on the homepage. In the About Page, you can share your picture, experience, clarify how the organization functions there, and the story of peoples involvement. Besides this, Event News is a great option to inform about your events to all over the world. In other words, with the help of event page, you simply can reach out to those people who care you. And they can send a message through the Contact form. So, they can get back to you. This Non Profit Charity Bootstrap Template built with HTML5 & CSS3. The eye-catching CSS3 effect can make the look more attractive. Actually, it’s secret arms which can enhance the styling and usability of your HTML template. Charitus Donation Charity Bootstrap Template builds with this amazing CSS3 effects. Moreover, it has the popular Bootstrap 3.x Framework. Just check the demo you can enjoy it. 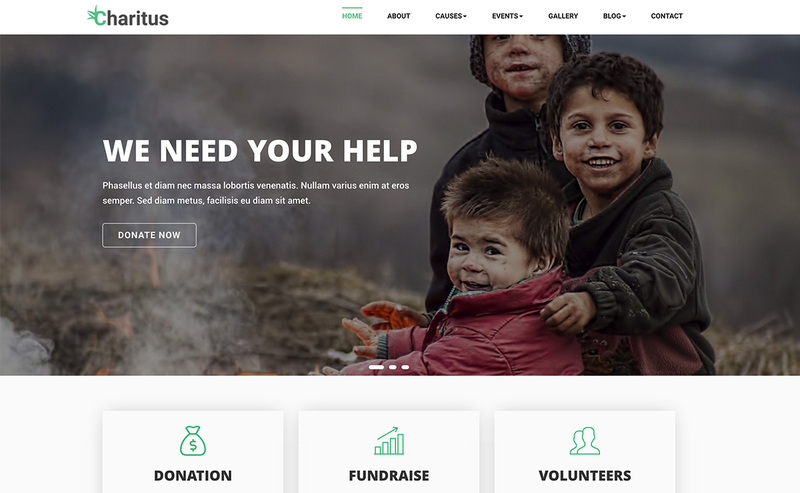 Like other Xootheme bootstrap responsive templates, Charitus Donation Non Profit Charity Bootstrap Template comes with well-organized and clean code. So, it’s easy to add new text or images when you need to do that. Moreover, complete documentation can help you to use this template. Out team was aiming to make easy to users when they developing this non profit charity website bootstrap template. It is a demand of time to have an SEO optimized template. It is necessary to find you from the search engines like Google or Bing. Here with this template you can edit meta titles and meta tags. Writing Meta description and Meta Titles can help Google and Bing index to the website properly. However, Charitus Donation Non Profit Charity Bootstrap Template comes with W3C error free valid code. So, it’s SEO optimized code can help you most with search engine factors. You can’t ignore the importance of clean and attractive design. This Bootstrap template has the clean design with attractive CSS3 effects which can grab attention. Moreover, this Charitus Donation Non Profit Charity Bootstrap Template comes with Font Awesome & Flat icon. We used Google Fonts to ensure its effectively. Of course, you will find it displaying a gorgeous look. Finally, we hope Charitus Donation Non Profit Charity Bootstrap Template is the best choice for any non-profit, charity, NGO, Fund-Raising and Social Welfare organizations. 24/7 Dedicated Support & Online Documentation. We are committed to providing dedicated support to our customers. We have own support forum for providing best customer support. We have online documentation site, we regularly update the documentation as well. 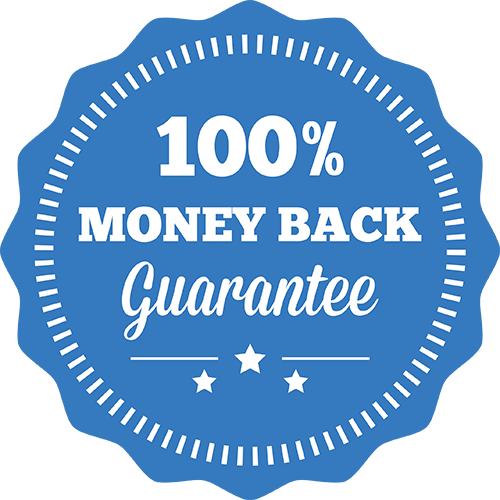 We are so sure you’ll be happy with your purchase that we offer a 30-Day Money-Back Guarantee to ensure customer satisfaction of our themes. If for any reason you wish to discontinue using the theme, we will promptly issue a refund. Simply let our support specialist know about your problems. $15 One time payment only. No yearly renewal. Free sample data installation. Lifetime free updates. One year free support.